The Best SolidWorks Blogs from thousands of SolidWorks blogs in our index using search and social metrics. We’ve carefully selected these websites because they are actively working to educate, inspire, and empower their readers with frequent updates and high-quality information. Waltham, MA About Blog SolidWorks offers 3D software tools that are easy to learn and use. It's products are easy to learn and use, and works together to help you design products better, faster, and more cost-effectively. The SolidWorks focus on ease-of-use allows more engineers, designers and other technology professionals than ever before to take advantage of 3D in bringing their designs to life. Follow this blog to get in depth knowledge on SolidWorks. Facebook fans 1,032,289. Twitter followers 192,449. Across Canada About Blog The Javelin Blog provides tech tips, advice, tutorials, and techniques for using SOLIDWORKS 3D CAD software and Stratasys 3D Printers. Follow this blog to get technical articles to learn and evaluate SOLIDWORKS software from Certified SOLIDWORKS Experts. Facebook fans 1,065. Twitter followers 2,576. About Blog DASI Solutions is dedicated to service and support. It is one of the handful of original, charter value-added resellers (VAR) in the SOLIDWORKS Community. This blog is your source for SOLIDWORKS 3D CAD engineering Software. Facebook fans 277. Twitter followers 1,027. Royal Leamington Spa, UK About Blog SOLIDWORKS Reseller, Solid Solutions provide SOLIDWORKS 3D CAD Software, Support and Training to the UK and Ireland and have been ranked the top UK SOLIDWORKS reseller since 2003. Follow this blog to get training on SOLIDWORKS. Facebook fans 718. Twitter followers 1,730. Oldbury, West Midlands, UK About Blog SolidApps Blog provides news, views, and tips on SOLIDWORKS CAD, SOLIDWORKS PDM, SOLIDWORKS SIMULATION, KeyShot and other related products. Facebook fans 181. Twitter followers 269. HQ: Pleasant Ridge, MI About Blog Fisher Unitech provides 3D printing supplies, CAD software packages, SOLIDWORKS training courses and more to help you innovate for the future. Follow this blog to get tutorials on SOLIDWORKS. Facebook fans 652. Twitter followers 1,470. About Blog Hawk Ridge Systems is the largest reseller of SOLIDWORKS 3D CAD Design and Engineering Solutions. It provides training, support, and service for SOLIDWORKS, Simulation, PDM, composer, CAMWorks, HawkWare, CustomTools, HP and Markforged Printers. Follow this blog to get resources and articles on SOLIDWORKS. Facebook fans 7,461. Twitter followers 1,881. India About Blog Deepak Gupta is a Mechanical Design Engineer, passionate about SOLIDWORKS. Follow this blog where he shares tips, tricks, tutorials and news about SOLIDWORKS. Facebook fans n/a. Twitter followers 2,130. Chennnai India About Blog EGS India provides design engineering service and authorised SolidWorks Reseller/Distributor/Dealer. Follow this blog where it shares SolidWorks solutions for various processes, how to design product using SolidWorks, SolidWorks PDM, SolidWorks solutions for industrial equipment and much more. Facebook fans 48. Twitter followers 499. Australia - Sydney About Blog Michael Lord is a Design/ Engineer responsible for the Design & Development of Motorhomes & Special Purpose Vehicles. He is SOLIDWORKS – CSWP and the Group Leader of the Sydney SOLIDWORKS User Group. Follow this blog where he shares his experience and use of SOLIDWORKS. Facebook fans n/a. Twitter followers 2,029. Edina, MN About Blog Alignex is the Upper Midwest's premier provider of consulting services, training, and design software to the mechanical engineering industry. Follow this blog to get the latest SOLIDWORKS 3D CAD tutorials, best practices, engineering and manufacturing news from Alignex. Facebook fans 1,777. Twitter followers 1,297. Histon, Cambridge (UK) About Blog Follow this blog for expert and beginner tips, tricks, news and tutorials to help you get the most out of SOLIDWORKS 3D CAD, Simulation, PDM, Electrical, Visualize, Composer, Inspection and more. Facebook fans 107. Twitter followers 1,206. 13. Reddit | Learning community for all things SOLIDWORKS. San Francisco, CA About Blog Get a constantly updating feed of breaking news, fun stories and videos on SOLIDWORKS from the Reddit community. Facebook fans 1,186,846. Twitter followers 553,641. The Netherlands, Tilburg About Blog My name is Jan-Willem Zuyderduyn. I am the founder and owner of LearnSolidWorks.com. It is the place to find SolidWorks tips, tricks & tutorials in order to learn SolidWorks in a fun way. Facebook fans 9,515. Twitter followers 246. Bangalore,Pune,Mumbai,Chennai About Blog BEACON is the Best Engineering Aids & Consultancies Pvt. Ltd. It is is the largest 3D CAD solution provider to the Engineering Industry in India. It is also a reseller of SolidWorks. Follow this blog to know more about SolidWorks. Facebook fans 1,553. Twitter followers 758. About Blog Follow this SolidWorks Tutorials blog to learn and practice SolidWorks smartly. This tutorial has been developed for SolidWorks beginners to learn it in the most efficient way. Facebook fans 1,571. Twitter followers 4. About Blog FEATC is an authorised solidworks reseller specialising in 3D design, advanced Finite Element Analysis & CFD. Follow this blog to get technical tips on SOLIDWORKS 3D CAD, SOLIDWORKS Simulation (FEA/CFD),SOLIDWORKS Composer and more. Facebook fans 170. Twitter followers n/a. Bengaluru South, India About Blog Conceptia Konnect is a authorized SolidWorks Reseller for 3D CAD Machine Design software, Design Analysis software, and SolidWorks Product Data Management software. Follow this blog to get in depth knowlegde on SolidWorks . Facebook fans 1,024. Twitter followers 111. Noida About Blog Tech savvy is an authorized SOLIDWORKS reseller in Delhi/NCR, Gurgaon, Rajasthan, Ghaziabad, and Haryana, Uttrakhand and is engaged in 3D cad solutions. Follow this blog to know more about SOLIDWORKS. Facebook fans 1,599. Twitter followers 10,159. Hyderabad, Telangana About Blog Logical Solutions is a Product Design and Engineering Services company representing strong domain knowledge, enhanced by innovative approach, formed in the year 2000. They are also the SolidWorks authorised resellers for, SolidWorks Enterprise PDM, CAMWorks and Sigmund. Follow this blog to get knowledge in customizing reports in SolidWorks, SolidWorks Electrical and much more. Facebook fans n/a. Twitter followers 188. 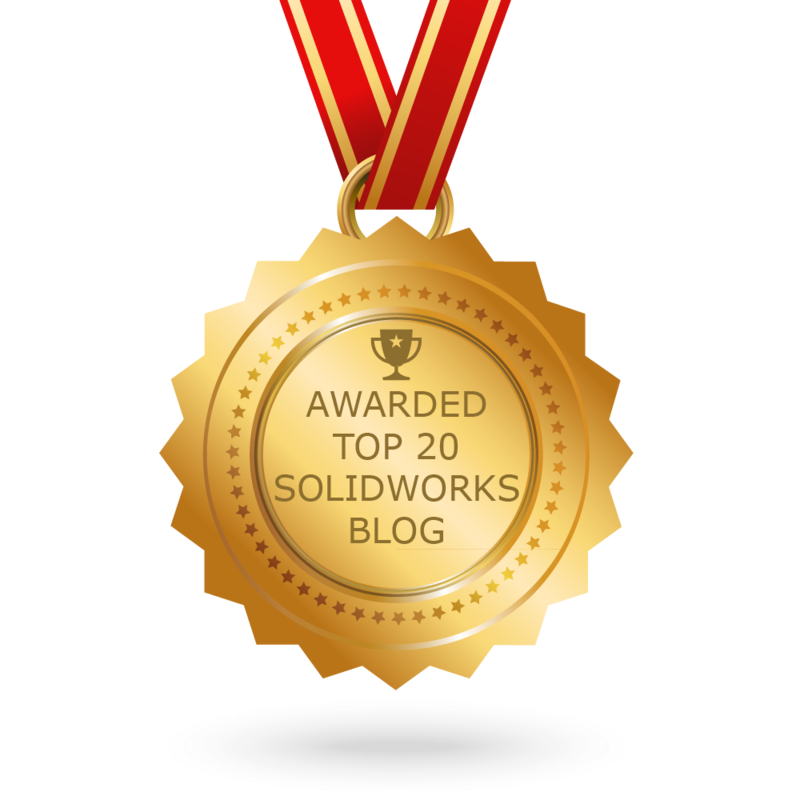 CONGRATULATIONS to every blogger that has made this Top SolidWorks Blogs list! This is the most comprehensive list of best SolidWorks blogs on the internet and I’m honoured to have you as part of this! I personally give you a high-five and want to thank you for your contribution to this world.